As you’re no doubt aware, John F. Kennedy was assassinated in Dealey Plaza exactly 50 years ago in Dallas on November 22nd, 1963. It is my belief and understanding, as well as a throng of other JFK assassination researchers, that this single act was a veritable Coup d’Etat and (in addition to the metaphoric breaking of America’s collective heart and shattering of its innocence) represented a “conspiracy” of the highest order of magnitude and significance. Whatever JFK’s flaws were (and he was obviously no saint as Seymour Hersh in The Dark Side of Camelot and others have documented), his youthful charm, magnetism, and brilliance as an orator were more than mere occupational subterfuge and slick political PR, as they gave expression to JFK’s genuine desire to steer the country in a different direction (one of hope, peace, and prosperity) from his predecessors and the imperial empire that the US would soon adopt around the world. In hindsight to what we now know, no political historian of any merit can deny this truth. However, for those of you who might want a refresher course, let me highlight a few of the more significant actions that Kennedy took and was taking that bears witness and sets the stage to the multiple reasons posited for his untimely assassination. First, we must remember that JFK won the presidency by the narrowest of margins thanks in large part to his father, Joe Kennedy, getting the mob to drum up support and voter drives for his son. Therefore, it’s only natural that these same gangsters like Chicago boss Sam Giancana (whom JFK shared a mistress with), Miami kingpin Santos Traficante, and New Orleans mob boss Carlos Marcello (who was the closest to Dallas nightclub owner Jack Ruby and control over Texas) were shocked and extremely pissed off when Robert Kennedy used his power as Attorney General to launch a war against organized crime. However, as much as the organized crime bosses despised Kennedy, they couldn’t have pulled off a hit of this magnitude and gotten away with it. To perform the hit is one thing (and even this was a highly controlled affair), but to cover it up completely after the fact up to the current day is quite another feat…which the mob couldn’t have possibly managed. Low-level mob-connected guys like Jack Ruby played a few axillary roles of little significance and were probably used as hired assassins, particularly in the killing of the many witnesses that died mysteriously and that threatened the official coverup after the fact. However, we’ve got to go a lot deeper in the plot. Interestingly, Kennedy made several overtures to Soviet premier Nikita Khrushchev that, according to his son, he initially rebuffed but later warmed up to. For one thing, JFK wanted a US-USSR joint space program to the moon instead of a space race that fostered aggressive unipolar competition. He was also making moves to end the Cold War and was roundly hated by his hawkish militaristic advisers, particularly men like Gen. Ed Landsdale and Gen. Curtis LeMay. He advocated for global peace with all the world’s nations at a commencement address before American University in June of 1963. And, even though he was being pushed to invade Cuba, he failed to supply the crucial air support that the CIA-trained Cuban exiles needed in the Bay of Pigs fiasco. Needless to say, all of this made him no friends within the Pentagon. Little known to most Americans, the CFR-loaded National Security State also tried to orchestrate a false-flag attack whereby planes would be hijacked, bombings would be conducted, and even American citizens in Miami and Washington D.C. would be attacked so that they could subsequently blame Castro’s Cuba as a pretext for invasion. This was known as Operation Northwoods, and it has since been declassified and written about by NSA researcher James Bamford. Fortunately, Kennedy turned it down. We should also remember that Kennedy’s policy on Vietnam was moving toward a slow and steady withdraw as proven by his National Security Action Memorandum NSAM 263, which would have pulled some 1,000 military personnel from Vietnam by the end of 1963. This policy was diametrically opposed by the Chairman of the Joint Chiefs of Staff, the vultures within the NSC, and especially the CIA itself, who had a presence in Laos since at least the early 1950s. One could argue that Kennedy was at war, not only the “Military-Industrial-Complex” that Eisenhower had warned Americans about in his prescient commencement address to the nation but also, with what was perhaps the most dangerous element of the Secret Government…the CIA. Covert operations, money laundering, assassinations, coup d’etats, and later narcotics trafficking to fund black budget clandestine wars are all part and parcel of the CIA’s dirty handiwork over the years of their bloody legacy. And, JFK wanted to put a stop to it. He even once remarked that he wanted to “break the CIA into a thousand pieces and scatter it to the winds.” He started by firing the long-time scion of covert operations Allen Dulles, who along with his brother John Foster Dulles essentially set the framework for post-WWII foreign policy. After the creation of the CIA in 1947 from the National Security Act, the US essentially created a state within a state or rather the makings of a secret government, much of which was ideologically formed from the Nazis that made up its ranks brought over through Operation Paperclip. 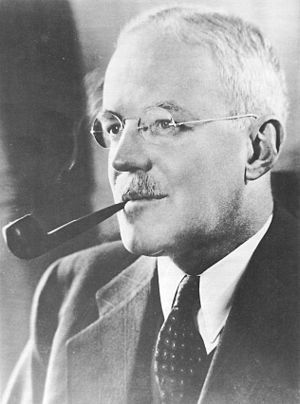 Allen Dulles was the consummate insider, and after he became the DCI (Director of Central Intelligence) of the CIA…he wasted no time in using this corporate-fascist agency in advancing US hegemony abroad. One of his first covert ops was in the overthrow of Arbenez in Guatemala for expropriating land for peasants from the United Fruit Company in 1956. Later, his CIA would topple Mohammed Mossedeq for having the gall to nationalize Iranian oil against the wishes of British Petroleum BP replacing him with the dictator Shah. Obviously, Dulles and Kennedy hated each other, and Kennedy replaced Dulles with John McCone. Of course, Allen Dulles was one of the key members of the Warren Commission that only advocated the ludicrous “lone nut shooter” and “magic bullet” theory. Meanwhile, Dulles should have been made a primary suspect in the actual planning of the assassination itself, given that he had what Col. L. Fletcher Prouty would say is the “means, motive, and opportunity” to do it. Given his contacts within the intelligence world of professional assassins, he certainly had the means. Having been fired from his post as head of the CIA, with many of his comrades to follow, he also clearly had a motive. Now, the only question is- “Did he have the opportunity?” I would say, “Yes”. Interestingly, Allen Dulles’ Deputy Director of the CIA, Charles Cabell, was also fired by Kennedy. And, Charles Cabell’s brother, Earle Cabell just so happened to be the mayor of Dallas at the time of the JFK assassination. Now, I believe that this opportunity was made all the more accessible by the addition of another very key figure, who stood to gain quite a bit by JFK’s assassination. I’m talking about Lyndon Baines Johnson. In my next blog post (within the next few days), I am going to make the case for LBJ’s pivotal role in the assassination, particularly in the all-important subsequent coverup. Stay tuned my friends. You don’t want to miss it! This entry was posted on Thursday, November 21st, 2013 at 7:07 pm	and tagged with Allen Dulles, Assassination of John F. Kennedy, Central Intelligence Agency, CIA, Jack Ruby, JFK, John F Kennedy, Kennedy, United States and posted in State Crimes Against Democracy (SCADS). You can follow any responses to this entry through the RSS 2.0 feed. clearness on your post is simply excellent and i could assume you are an expert on this subject. I will indeed carry on with the work…slow going as it’s been recently. And, I’m certainly not an expert on the JFK assassination (as very few are), but I’m constantly learning. And, that’s the best anyone can do with the “mother of all conspiracies”. Absolutely grab a hold of my RSS feed to keep up with the articles. I can promise you that I won’t flood your email with them, but you’ll be glad you get them when I do sent one out. Thanks Catherine…I appreciate the compliment. Perhaps you should try Firefox. Or, if that doesn’t work and/or you’re already using Firefox, I would suggest tinkering with your settings. Hope this helps. Yeah, you could call it the Lady Blah Blah Effect I suppose. We’re usually so distracted and diverted that we scarcely have the time or the patience to read anything more than a text message or a small blog anymore. Technology is a double-edged sword in that regard insofar as the media is concerned wherein the more we have at our disposal the less valuable the knowledge becomes and our general knowledge base suffers as a result. Who’s quackery are you referring to exactly? I’ll look into it further if I know more. Thanks. There actually was a part 2 that dealt with LBJ’s role in the JFK assassination. You can’t miss it. It’s literally the next article up in the scroll. Thanks for the compliment. I’ve been a bit negligent in keeping up with it due to other concerns in my life, but I look forward to posting a lot more stuff in the near future. Thanks so much. I’m glad you got something out of it.